Also known as The Empress Tree, The Princess Tree or The Fox Glove tree. 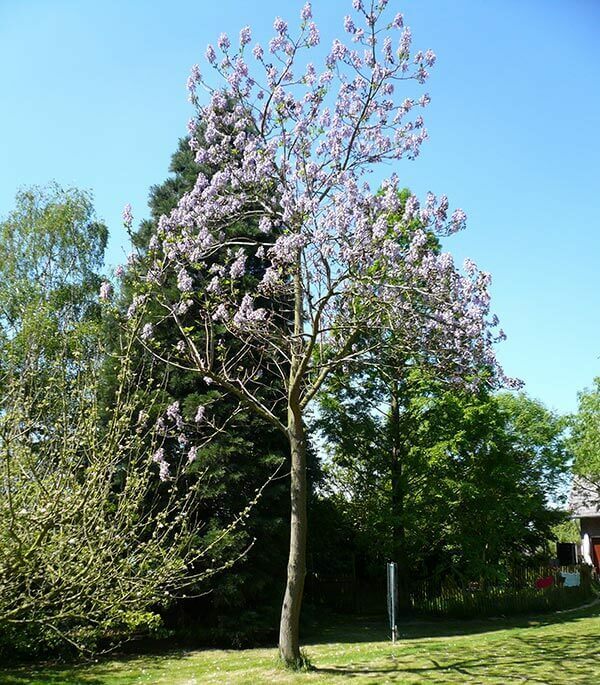 Paulownia is in honour of the Grand Duchess Anna Pavlovna of Russia, also known as Anna Paulowna, a princess of the Netherlands, with tomentosa being derived from the Latin meaning 'covered in hairs'. This fast growing tree has large heads of purple fox glove-like flowers in Spring with large beautiful round leaves the size of footballs in Spring, Summer and Autumn. In Winter, the tree is deciduous and the leaves turn a yellow-brown before they fall.